Cement is fundamental in maintaining integrity throughout the life of the well. 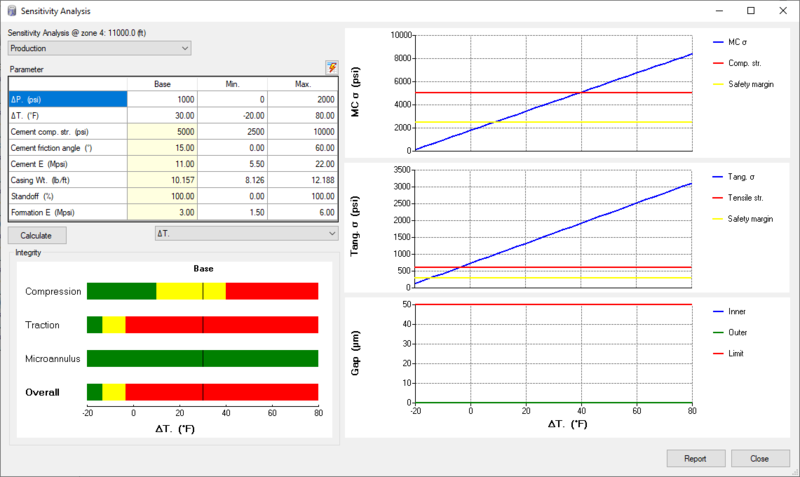 Even if the slurry has been properly placed, changes in downhole conditions can induce thermal and mechanical cycling stresses to harm the integrity of the cement sheath. 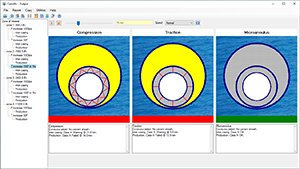 CEMLife is a software package that analyzes 3 types of failure modes (traction, compression, micro-annulus) under various temperature conditions and pressure changes. 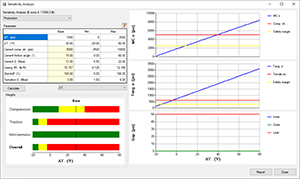 CEMLife performs calculation on the impact of 8 different parameters to quickly achieve the slurry optimization with its sensitivity analysis feature. Erik B. Nelson and Dominique Guillot, published by Schlumberger, 2006. Cementing is arguably the most important operation performed on a well. Well cementing technology is an amalgam of many interdependent scientific and engineering disciplines which are essential to achieving the primary goal of well cementing - zonal isolation. This textbook is a comprehensive and up-to-date reference concerning the application of these disciplines to cementing a well. "Well Cementing" is envisioned as an upper-level university book, as well as a reference for practicing engineers and scientists. 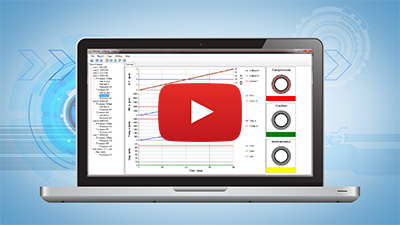 PVI's technical contributions on surge pressure prediction are featured in this book.